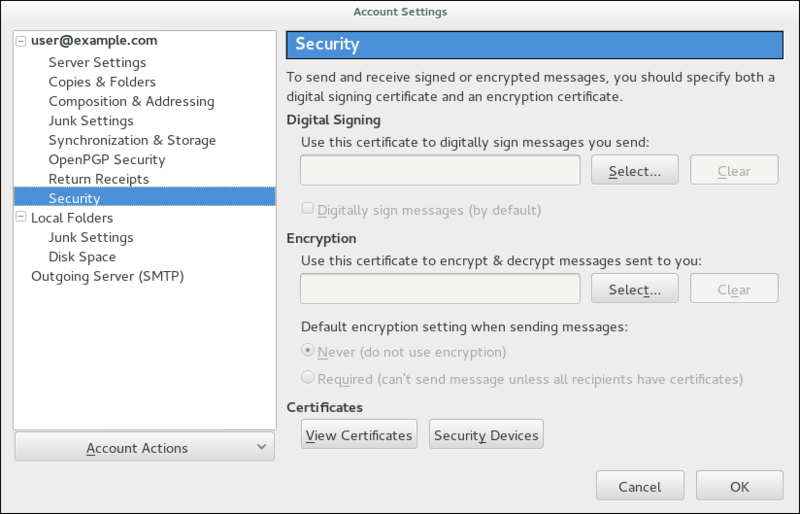 The following example shows how to manage certificates in the Mozilla Thunderbird email client. It represents a procedure to set up certificates in email clients in general. In Mozilla Thunderbird, open the Thunderbird main menu and select Preferences → Account Settings. Select the Security item, and click View Certificates to open the Certificate Manager. Download and save the CA certificate to your computer. In the Certificate Manager, choose the Authorities tab and click Import. 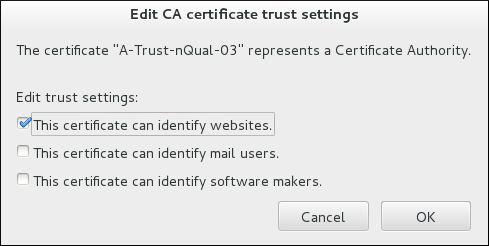 Select the downloaded CA certificate. 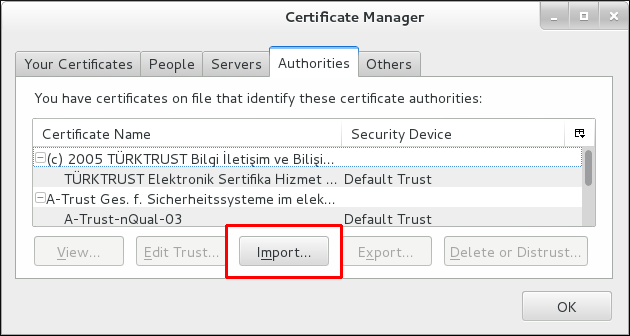 In the Certificate Manager, under the Authorities tab, select the appropriate certificate and click Edit Trust. Edit the certificate trust settings. In the Certificate Manager, under the Your Certificates tab, click Import. Select the required certificate from your computer. Close the Certificate Manager and return to the Security item in Account Settings. Under the Digital Signing section of the form, click Select to choose your personal certificate to use for signing messages. Under Encryption, click Select to choose your personal certificate to encrypt and decrypt messages.